Before writing my reviews, I have the tendency to look over other reviews for the same book to get an idea of what the book reviewing community has to say about what I just read. Doing that for this review has made me realize how much in the minority I am in my feelings for this particular book. This, in itself, shouldn't really surprise me. This may be the first book of the Kharkanas trilogy, but said trilogy is a prequel trilogy (yes, that's right, Erikson needs an entire trilogy to serve as a prequel) to the Malazan Book Of The Fallen series, a complete series which consists of ten massive tomes. I'm willing to bet that the majority (if not the entirety) of the glowing five-star reviews I've seen for this book are coming from fans of the Book Of The Fallen series. As much as I enjoyed the larger series, I'm not blind to what I see as a number of glaring flaws in both this book, and also Erikson's style in general. This story takes us back several hundred thousand years in the past of the main Malazan timeline (although Erikson's always been deliberately hazy about things like dates and timelines). The setting is the land called Kurald Galain, which is a separate magical plane of existence (called a warren) in the main series, but this whole storyline seems to be taking place before K'rul's blood has created the warren system of magic which the main series employs. The main thrust of this series seems to be chronicling how Kurald Galain goes from being a world to being a magical pocket dimension, how the Tiste people split into the three factions of Titse Andii, Tiste Edur, and Tiste Liosan, and also how and why the Tiste Andii break away from their living goddess Mother Dark. If all this sounds fairly complicated, well...it kind of is, or at least, Erikson makes every effort to make it sound complicated, to inveigle his readers and make the details of his world as obscure as possible. One of my issues with his style. Another of my issues with Erikson involves the relative thinness of his characterizations, although that's an issue which he partially overcomes with this novel. In the main series, Erikson had the tendency to introduce dozens of new characters in every book, each of whom would get a slender amount of focus due to the engorged cast. In order to make up for the inability to dedicate much time to a single character, Erikson was wont to rely heavily on archetypes for the majority of his characters, and then would actually develop only four or five of them into real, believable, three dimensional people. In the case of this book, Erikson actually did a fair bit better than he usually does, although there are still a number stock soldiers amongst the cast of this book, and many of them have very similar names, making them easy to confuse. Can we talk about the names for a minute? Fantasy literature is full of ridiculous names, but what is most frustrating about Erikson in this regard is the fact that he can, when he wants to, come up with very cool, memorable names. Anomander Rake is amongst my personal favourites, but there's also Draconus, Andarist, Silchas Ruin, and Caladan Brood to list off a few. Then you get names like Faror Hend. What? How do I even say Faror? It just doesn't sit well on the tongue. What about Tathe Lorat? Again, it's just an awkward sounding name. Hunn Raal, Olar Ethil, Gripp Galas...they all just sound clumsy. Some of the worst, though, are the returning characters Spinnock Durav and Sandalath Drukorlat. Seriously, only fantasy fans would put up with stupid character names like those. Not to mention that introduced in this book are characters with the names Resh, Rint, Risp, Renarr, Rancept, and Raskan. Did he really have to do that? Another thing that makes the characters easy to confuse is the similarities many of them have in their outlooks and philosophies. I think Erikson was actually trying to do this, which is pretty concerning when examined closely. It essentially says that many of these individuals share a dourness of spirit simply because they belong to the same species. Not only that, but Erikson really beats his morose philosophies to within an inch of their lives in this book, and in their depressed musings, his characters have the tendency to get fairly abstract, nearly to the point of unintelligibility. Maybe it all sounded clever in Erikson's head, but a lot of the time I was reading this stuff all I could think was, "What nonsense." Finally, Erikson seems to have lost one of the greatest strengths of his writing, which is pacing. It took about 400 pages for things to really start happening, and thereafter, something relevant would usually occur at the end of each chapter; the chapters, regrettably, were at least 60 pages long, which is quite a ways to go between events. Also, in the Book Of The Fallen series, the endings of each book were quite strong, as a confluence of characters and events would occur (dubbed "convergences"). This made for pretty epic climaxes, which is the sort of thing this book needed to turn things around. Unfortunately, the classic Erikson convergence never converged here, and I slogged through a 900+ page novel that was only halfway decent expecting an major climax to get a merely average climax. 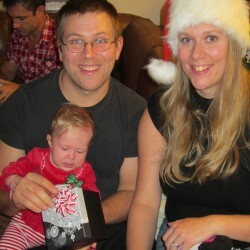 It was a let down. 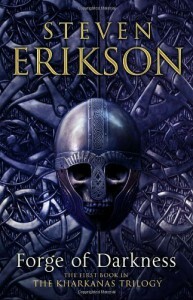 All in all, I felt that this book emphasized Erikson's weaknesses as a writer, while downplaying his strengths. I'm not really sure if I'm interested in reading the next one.